Installing and Administering VMware vSphere Update Manager 5.0, Chapter 9 “Installing, Setting Up, and Using Update Manager Download Service”, page 57. 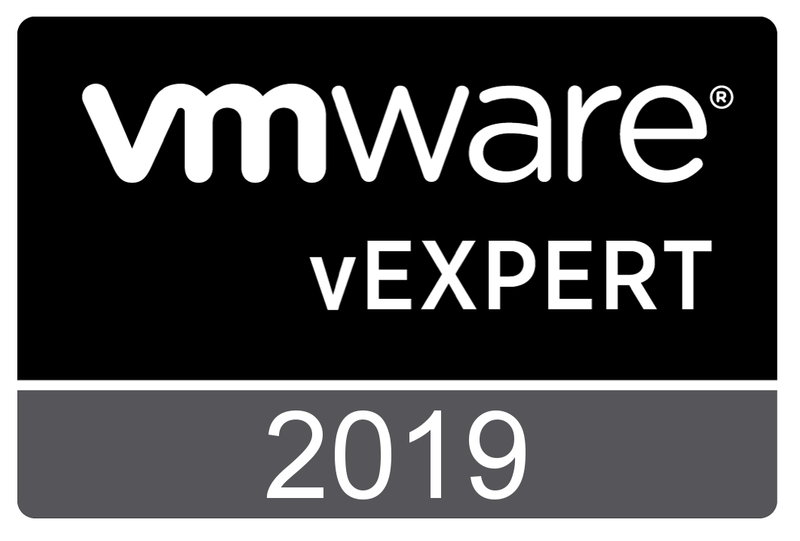 Short Recap: Update Manager enables centralized, automated patch and version management for VMware vSphere and offers support for VMware ESX/ESXi hosts, virtual machines, and virtual appliances. Upgrade and patch ESX/ESXi hosts. Update Manager requires network connectivity with VMware vCenter Server. Each installation of Update Manager must be associated (registered) with a single vCenter Server instance. The Update Manager module consists of a plug-in that runs on the vSphere Client, and of a server component, which you can install either on the same computer as the vCenter Server system or on a different computer. You can deploy Update Manager in a secured network without Internet access. In such a case, you can use the VMware vSphere Update Manager Download Service (UMDS) to download update metadata and update binaries. in which procedures must be performed in a particular order. VMware recommends following this procedure. 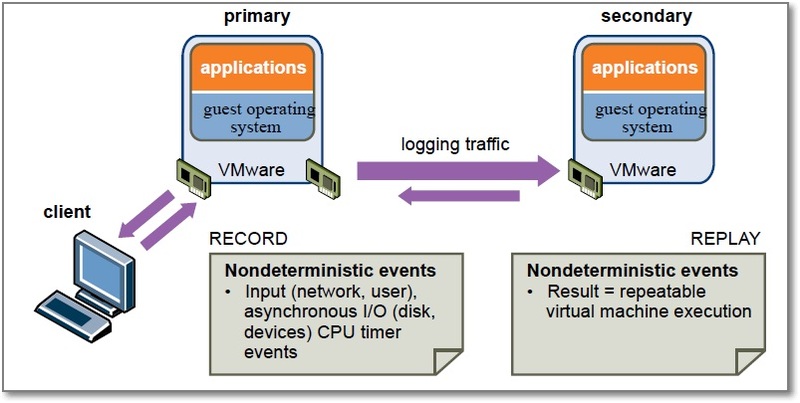 A good reading on Host Profiles is the VMware Host Profiles: Technical Overview. Host profiles eliminates per-host, manual, or UI-based host configuration and maintains configuration consistency and correctness across the datacenter by using host profile policies. These policies capture the blueprint of a known, validated reference host configuration and use this to configure networking, storage, security, and other settings on multiple hosts or clusters. You can then check a host or cluster against a profile’s configuration for any deviations. You perform host profiles tasks in a certain workflow order. You must have an existing vSphere installation with at least one properly configured host. Set up and configure the host that will be used as the reference host. A reference host is the host from which the profile is created. Create a profile using the designated reference host. Attach a host or cluster to the profile. Check the host’s compliance to the reference host’s profile. If all hosts are compliant with the reference host, they are correctly configured. Apply the host profile of the reference host to other hosts or clusters of hosts. vSphere Availability Guide, Chapter 3,” Providing Fault Tolerance for Virtual Machines”, page 35. Recap, what is FT? vSphere Fault Tolerance (FT) provides continuous availability for virtual machines by creating and maintaining a Secondary VM that is identical to, and continuously available to replace, the Primary VM in the event of a failover situation. This graphic provided by VMware shows the concept. FT with DRS. You can use FT with DRS when the Enhanced vMotion Compatibility (EVC) feature is enabled. This process allows fault tolerant virtual machines to benefit from better initial placement and also to be included in the cluster’s load balancing calculations. DRS does not place more than a fixed number (default=4) of Primary or Secondary VMs on a host during initial placement or load balancing. This limit is controlled by the advanced option das.maxftvmsperhost. When vSphere Fault Tolerance is used for virtual machines in a cluster that has EVC disabled, the fault tolerant virtual machines are given DRS automation levels of “disabled”. Affinity rules. If you use affinity rules with a pair of fault tolerant virtual machines, a VM-VM affinity rule applies to the Primary VM only, while a VM-Host affinity rule applies to both the Primary VM and its Secondary VM. Unfortunately FT has a lot of requirements on the Cluster, Host and VM level! The ultimate resource on this topic is of course VMware vSphere 5 Clustering, Technical Deepdive by Duncan Epping and Frank Denneman. vSphere Availability Guide, Chapter 2, Section “Host Failures Cluster Tolerates Admission Control Policy”, page 16. Three types of admission control are available. Ensures that a host has sufficient resources to satisfy the reservations of all virtual machines running on it. Ensures that a resource pool has sufficient resources to satisfy the reservations, shares, and limits of all virtual machines associated with it. Ensures that sufficient resources in the cluster are reserved for virtual machine recovery in the event of host failure. NOTE: vSphere HA is the only type of admission control that can be disabled. When vSphere HA admission control is disabled, vSphere HA ensures that there are at least two powered-on hosts in the cluster even if DPM is enabled and can consolidate all virtual machines onto a single host. This is to ensure that failover is possible. With the Host Failures Cluster Tolerates admission control policy, vSphere HA ensures that a specified number of hosts can fail and sufficient resources remain in the cluster to fail over all the virtual machines from those hosts. Chapter 7 presents a nice overview. 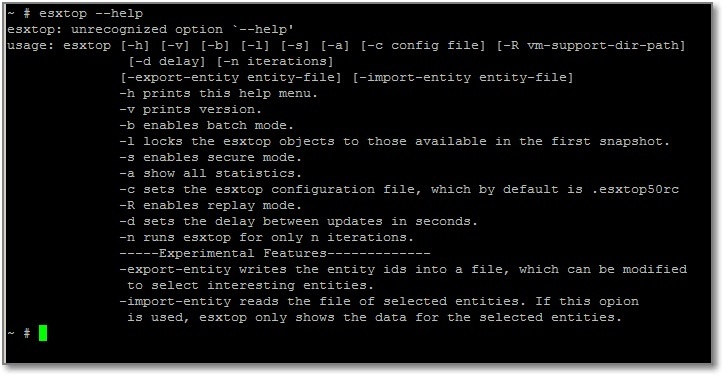 The resxtop and esxtop command-line utilities provide a detailed look at how ESXi uses resources in real time. For thos familiar with Unix/Linux esxtop is the vSphee equivalent of the well known top command. esxtop can be run from the Shell of an ESXi server and can only be used locally on a ESXi host. You need root privileges to run esxtop. resxtop stands for remote esxtop and is found in the vMA or in the vSphere CLI. For remote connections, you can connect to a host either directly or through vCenter Server. Whenusing the vMA, resxtop is vifp aware. The output is slightly different. Esxtop has the Replay mode and a few experimental features. Resxtop, of course has the options for remote connections. Just a quick one. Apparently a simple issue. I wanted to completely un-mount an iSCSI Datastore on just one ESXi host in a Cluster. In case you wonder why, the answer is “for testing purposes”. The vSphere Client has an option to accomplish this task. Select the desired Datastore, right-click and select “Unmount” from the menu. After a few moments, the affected Datastores disappears from the overview. Now select the “Devices” view and you will notice that the device is still there. Select “Properties” and “Manage Paths..” and connections are still there. I have tried quite a few things to completely remove all traces. Fortunately there is a simple solution. Just perform the following steps, you do not need to perform the unmount procedure. The first step is to remove the ESXi host from the access list. This depends on the shared storage solution. In this example an Equallogic series. Select the Volume, go to the “Access” tab and remove the ESXi host from the list. You are currently browsing the Adventures in a Virtual World blog archives for August, 2012.